The true knights of the Middle Ages were passionate about their faith, their relationship with Christ, and their dedication to living by the virtues of Scripture. The order of knighthood was esteemed by all, pursued by many, yet held by only few. The lifestyles, virtues, and commitments held by these knights—who were half warriors and half priests—were second to none in the medieval era, as well as today. The order of knighthood provided a code to live by—a set of guidelines and practices that instilled honor, strength, and valor. This same order also served to set their lives on a track that helped safeguard them against self-inflicted trouble and heartache, insuring they could enjoy God’s best for their lives. 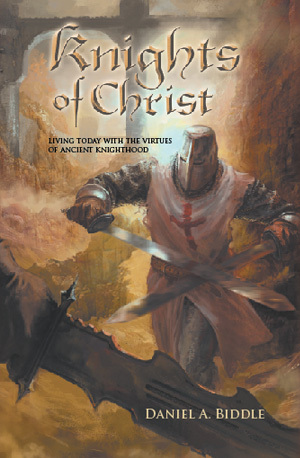 Dr. Daniel Biddle is passionate about living and sharing the Christian faith in creative ways that grip the hearts and minds of today’s youth, and the concept of knighthood is just as powerful today as it was in was in the Middle Ages for accomplishing this. Dan earned his bachelor’s degree in organizational behavior from the University of San Francisco and his doctorate in organizational psychology from Alliant University. Dan is the CEO of a human resources consulting firm located in Folsom, California. Dan and his wife, Jenny, have four children and live in Folsom, California.